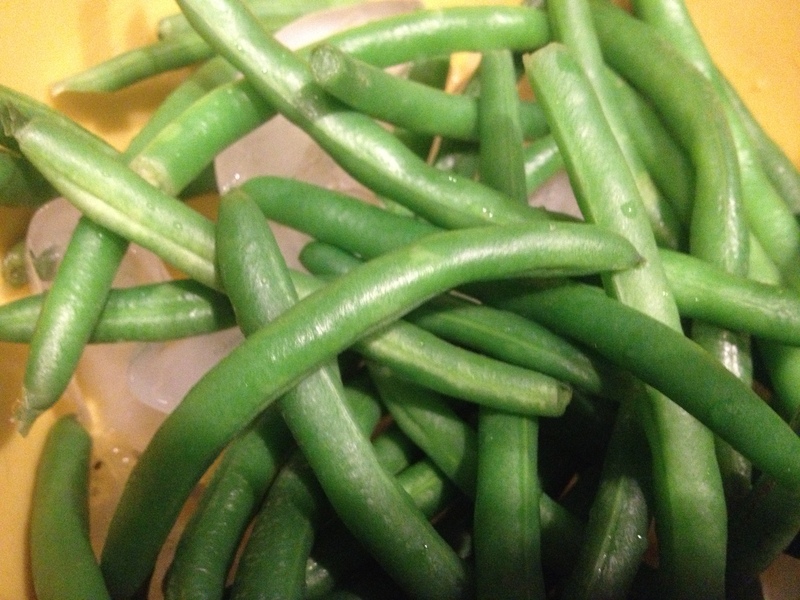 You can substitute canned green beans if you want – I typically keep fresh around as they are easy to find and so versatile. Preheat oven to 350 degrees. Grease a 9×13″ baking pan. 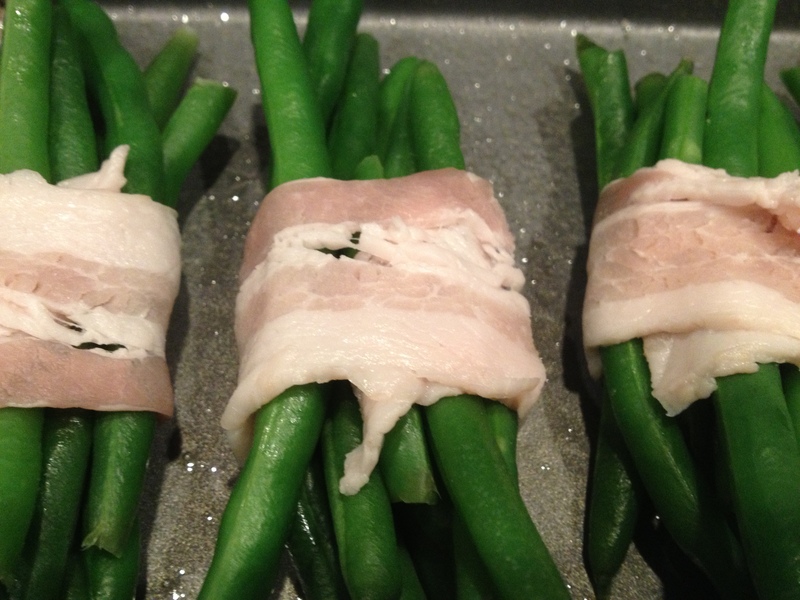 Wrap 9-10 green beans with the half slices of bacon. 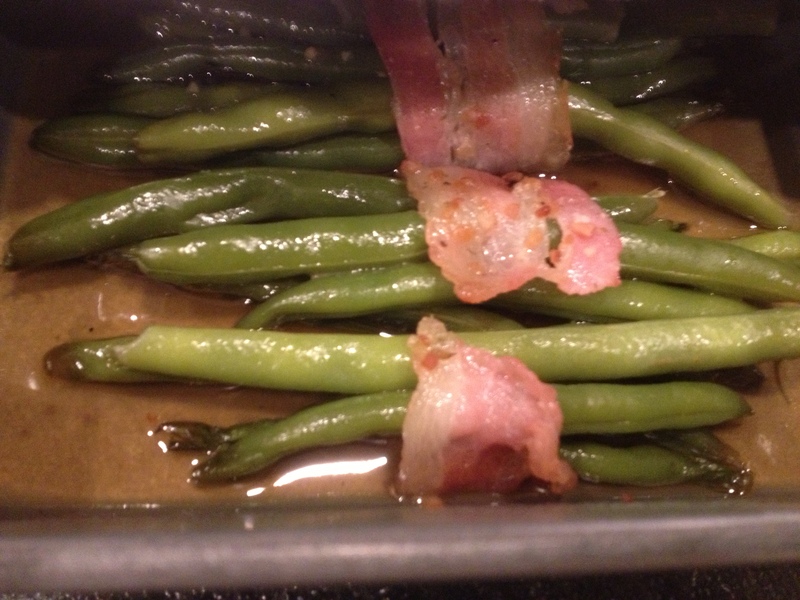 Place in greased pan. 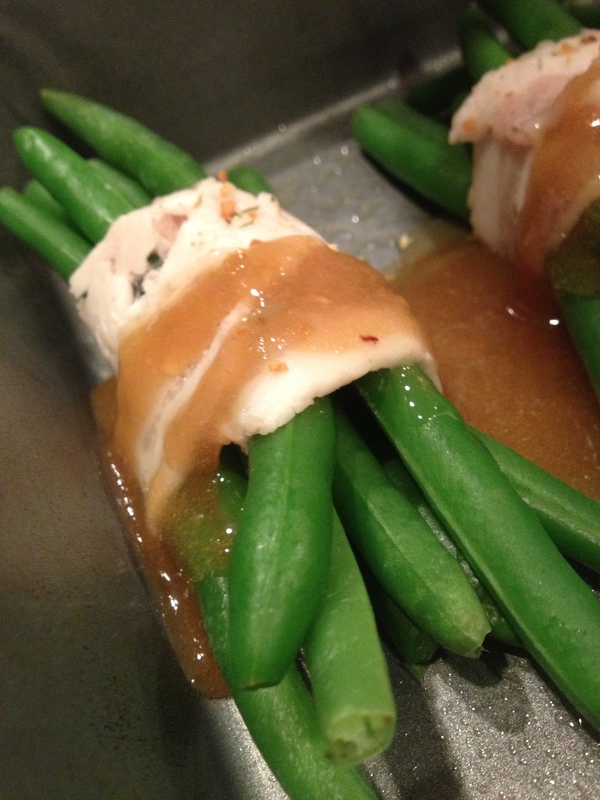 Continue wrapping all the “bundles” until you have used all the green beans. Combine butter and brown sugar. 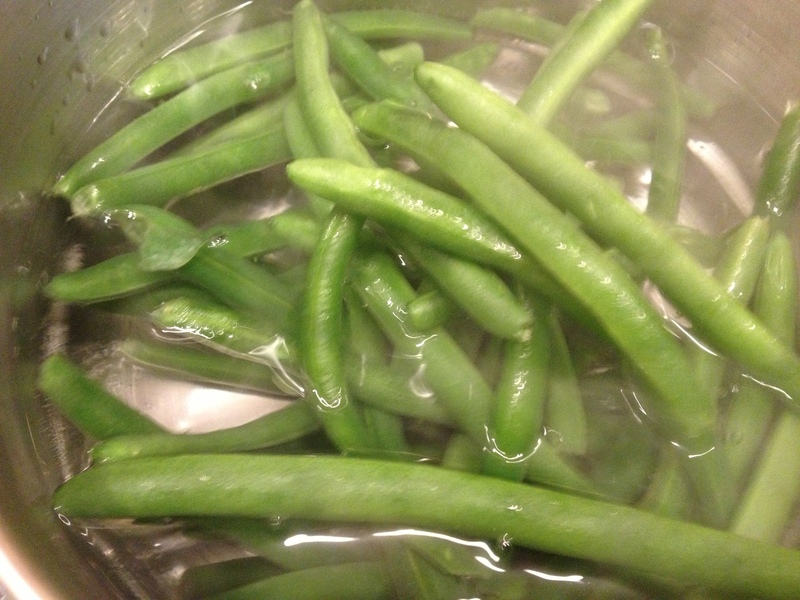 Pour over the bundles and sprinkle with garlic powder, salt and pepper. Cover with foil. Bake 45 minutes. Fit for a king! YUM! 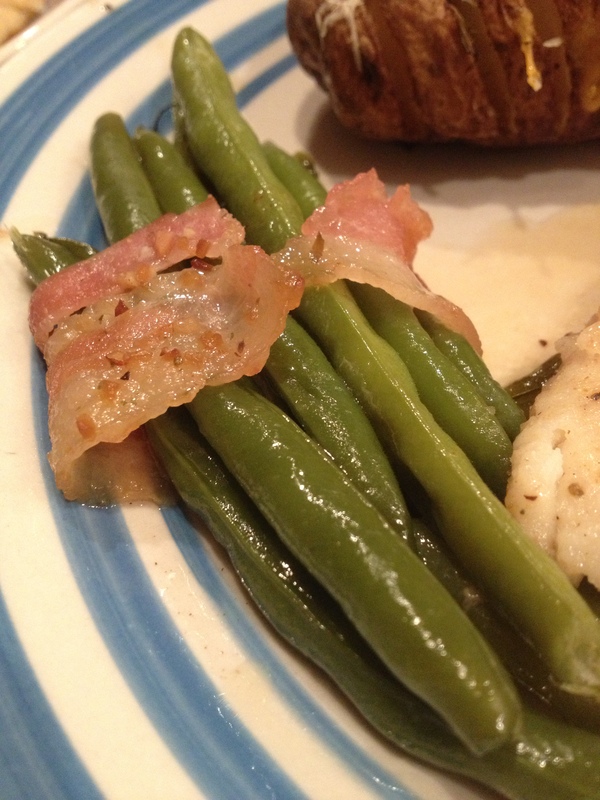 This entry was posted in Food and all that goes with it!, Recipes, Side Dishes and tagged bacon, brown sugar, Green bean bundle. Bookmark the permalink.